After hearing the news on the internet, and then reading in American newspapers the gushing commentary on Bob Dylan receiving the Nobel Prize for literature, I thought immediately of Jean-Paul Sartre’s commentary on rejecting the Nobel Prize in 1964, and the ultimate price such a prize entails for literature in the modern era. Now, I understood more than ever his words on the Nobel Prize, remembering how in my youth as a soldier on leave in Paris, with all my naiveté I wrote my first prose of literature not for a prize, but as something I thought to be left for the ages. At that time, I was reading the novels of Louis Aragon and Alberto Moravia, who were not only great writers but also men who had risked their lives in their stand against the cruelty and tyranny of fascism in their own countries, and who would never be recognized by the Swedish Academy for their remarkable and universal works. It was also at that time that I was reading the poetry of Pablo Neruda, who was perhaps the greatest of modern poets and who had met an untimely death, let us say it bluntly—murdered, not long after he finally received the Nobel Prize for his poetry as a voice for the people in South America. And I was aware, only too aware as I walked the streets of Saint Germain and Saint- Michel in Paris, in my youth, that Sartre the writer, Sartre the intellectual had taught me what his “conception” of the writer’s enterprise should be, and which I would phrase in these times as the writer’s only avocation is to write as honestly as he or she can, and not be worried about honors and literary prizes. For the greatest fate of the writer is to write about the political era as it actually is in real or factual life, and not to shrink from that calm and dangerous commitment. In awarding the Nobel Prize for literature to Bob Dylan, the Swedish Academy degraded the meaning of the prize, and in a sense mocked the men and women throughout the world who work tirelessly for the written word to have meaning in the deeper political sense of the word. Here we must remember the profound words by Sartre on the craft and obligation of those who write in such a tireless way, and in which he wrote about— “A writer adopts political, social, or literary positions must act only with the means that are his own—that is the written word. All the honors he may receive expose his readers to a pressure I do not consider desirable” That “written word” as described by Sartre is now in a struggle to survive in a socially insane world, particularly in the United States, and certain parts of Europe and the Middle East. It would be very complicated in this essay to write about why Bob Dylan’s works are songs, and not poetry as understood by a timeless interpretation of the craft throughout the ages. Bob Dylan’s works have their own distinct merit, but are now works of nostalgia. They are not in the canon of the great classical literary tradition or even in the revolutionary written way of let us say the French troubadour, François Villon who wrote poems that were made into songs. Villon paid for his troubadour way of life by being hung, and did not have in his era the luxury to have a number of homes and a yacht in the Caribbean waters like the very wealthy ‘poet’ Bob Dylan. All of us who are writers live with our own private contradictions as well as being involved in international world affairs which we cannot escape from if we are in any way serious about the major political and cultural battles that face the world. When the Swedish Nobel Prize Committee gave the literary prize to Bob Dylan, then that was a nod to the continuation of neo-liberalism in the West, and in particular for the United States to spread its imperialist culture over the world without regard to the cultural welfare of other nation-states. "And I said 'OK, ya, of course'. "'Well, meet me,' he said, 'at the comer of 54th with the corner of Fifth Avenue' – or whatever it was – 'tomorrow at three o' clock and I'll take you to see some nice pictures.' And I never imagined he'd be there. And there he was leaning up against a lamp post. And he took me to the Museum of Modern Art and showed me around and said he was with us, ya. That's how he was, anyway, May 1974. I don't know how deeply it touched him really … I don't know." Victor Jara was in many ways as brilliant of a song writer as Bob Dylan, but he was not the comatose liberal turned Christian fundamentalist as the American folk singer who always knew how to rationalize for his self-centered personality as a bourgeois artist in interoperating ‘The Times They Are a-Changin' which benefits his own personal and class interests. And thus, Bob Dylan, the American folksinger, has become a capitalist money-making institution for the West and which will only be exploited more as a recipient for the Nobel Prize for literature. The farce that was created by the Swedish Academy is similar in political character to the Norwegian Nobel Committee that awarded the Nobel Prize for Peace to Barak Obama, who has waged endless wars since his tenure as President of the United States and who has nurtured and helped to build the military industrial complex. 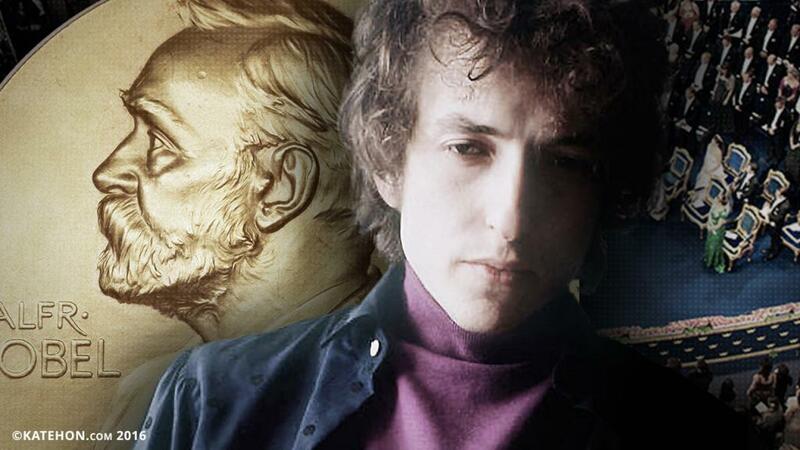 It is this same Nobel Prize winner, who like Bob Dylan, has advocated for a “freedom” which has more to do with individualist freedom, than with the freedom for working people to have the opportunity and the indivisible rights for food, housing and a living wage in an imperfect world. The untainted Truth, and abandoned her, dirty and black. There have been great laureates of the Nobel Prize in the past, who knew how Truth transpired on the written page which is a great prize in itself. Will the USA use US-Nordic Leaders Summit to influence Scandinavian countries to 'contain' Russia in the Arctic?